Discount available! 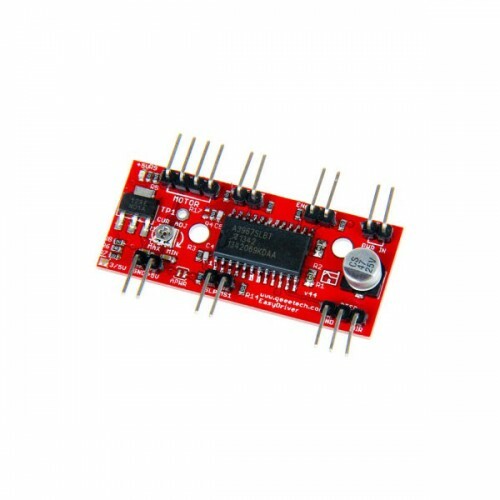 Recommend Stepper Motor Driver to your friends and get your Discount. This Driver is a simple board to use stepper motor, compatible with Arduino and other board that can output a digital 0 to 5V pulse or 0 to 3.3V pulse. 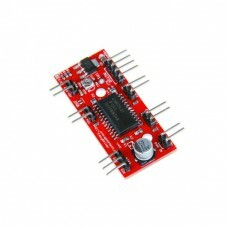 The Driver requires a 6V to 30V supply to power the motor and can power any voltage of stepper motor. The boards drives bi-polar motors, and motors wired as bi-polar. I.e. 4,6, or 8 wire stepper motors. The microstep select (MS1 and MS2) pins and sleep and enable pins of the A3967 are broken out for further control. Bipolar stepper motor with a 4-wire cable. Features: Step Angle (degrees) :1.8 2 Phase ..
Bipolar stepper motor with a 4-wire cable used in 3Drag 3Dprinter Features: Step Angle (d..
Bipolar stepper motor with a 4-wire cable used in 3Dprinter or CNC machine and for ..